It’s blueberry season in Michigan. Berry farms across the state are opening farm stands and inviting passerby to stop and pick. Farmers markets feature flats of these delightful berries, both sweet and tart, plump and juicy. Bakers are happily braving the heat to make pies and cobblers, served with a scoop of cold ice cream, of course. Michigan blueberries are delicious; try some and see. We dream of the first truly fresh blueberries of the season, and when they’re here, we eat them by the handfuls. The chefs of our Lansing Michigan fine dining restaurant create blueberry-inspired desserts. All seems right in the world. 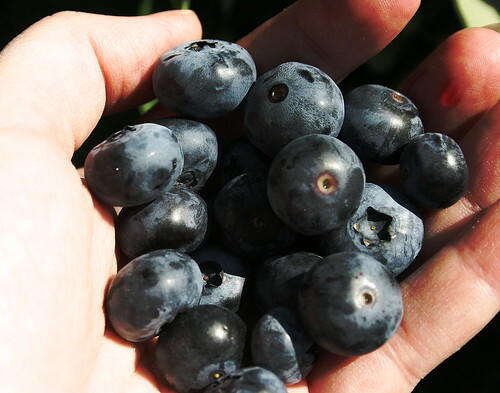 Get an early start and head to Dexter Blueberry Farm in Dexter, where you can pick your own berries. They are open as of today, July 20, 2011. Visit the East Lansing Farmer’s Market on Sundays from 10 a.m. to 2 p.m.; there are blueberries, blueberry jam, and blueberry baked goods. Try the Blueberry Wine at Burgdorf Winery. Enjoy it with pork or sip it while sitting in the shade on a hot afternoon.